Antibodies, Proteins, Immunohistochemistry kits and Related reagents. Please visit our immunohistochemistry page for details of our IHC kits or if you are having difficulty locating an item, simply use our contact form and we'll look for you. 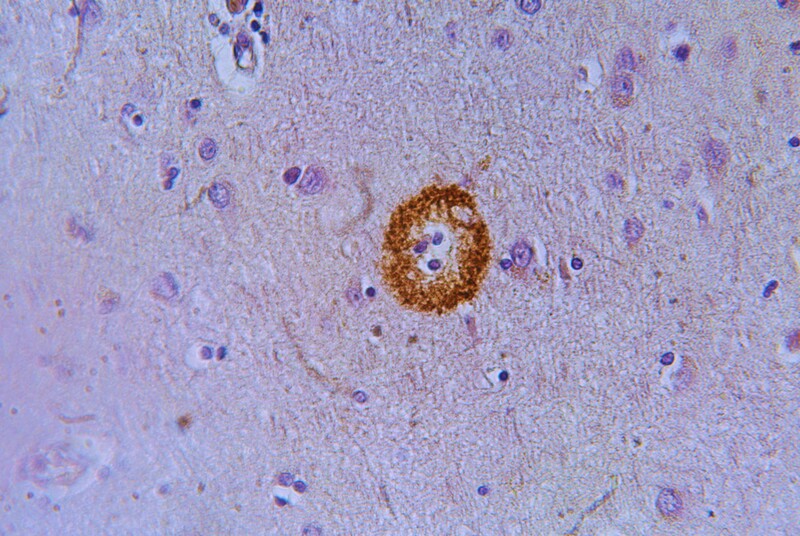 The presence of aggregated amyloid-β peptides (Aβ) is one of the hallmarks of Alzheimer's Disease (AD). However, the form(s) of Aβ-peptides that are associated with this pathology remains unclear. In particular, the neurotoxicity of intraneuronal Aβ accumulation is an area of considerable research and controversy principally because antibodies thought to be specific for Aβ have been shown to actually detect intraneuronal amyloid precursor protein (APP) and not Aβ exclusively. Our Biosensis MOAB-2 antibody (M-1586-100) is a new pan-specific monoclonal antibody to Amyloid beta residues 1-4 and provides unparalleled staining clarity, stronger reactivity and greater sensitivity than any other Abeta monoclonal antibodies previously available for research. Also, unlike other monoclonals such as 6E10 and 4G8, MOAB-2 does not cross react with APP or APP C-terminal fragments. The Biosensis formulation of MOAB-2 is also the only one endorsed by the original developers. Also available is our DNA Damage ELISA which allows the user to quantify oxidative damage of DNA by measuring 8-OHdG levels. For further information follow the links above or alternatively complete our contact form. Newmarket Scientific is the UK and Ireland Distributor for the ImmunoStar range of antibodies for neuroscience research. This range of primary antibodies was originally provided by DiaSorin (formerly INCSTAR), but in 2001 the range became Immunostar. As these antibodies have been available for many years there are multiple references citing their use. Additionally ImmunoStar antibodies are put through extensive testing before release to ensure both high quality and high titer. This provides excellent reliability and lot-to-lot consistency. These antibodies have also been specifically tested for use in immunohistochemistry.